You don’t have to pay a small fortune for a luxury vehicle, at least not when you choose Acura. Whether you’re searching for Acura RDX or MDX lease specials, or offers on a new Acura ILX, TLX, or RLX, you’ll find them below. Fresno Acura in Fresno is proud to offer excellent lease and finance specials—none of which drivers in Clovis will want to miss! Check out our current offers below, then contact us to schedule a test drive in Fresno! Why Buy or Lease an Acura from Fresno Acura? 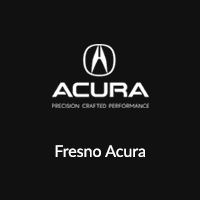 We offer one of the most impressive Acura inventories near Madera and Visalia! Additionally, Acura vehicles offer generous features, even without upgrades like the Technology Package or A-Spec Package. The entry-level ILX, for example, comes standard with Jewel Eye® LED headlights, a power driver’s seat, dual-zone automatic climate control, and a central display. We look forward to helping you find the right Acura for your needs!